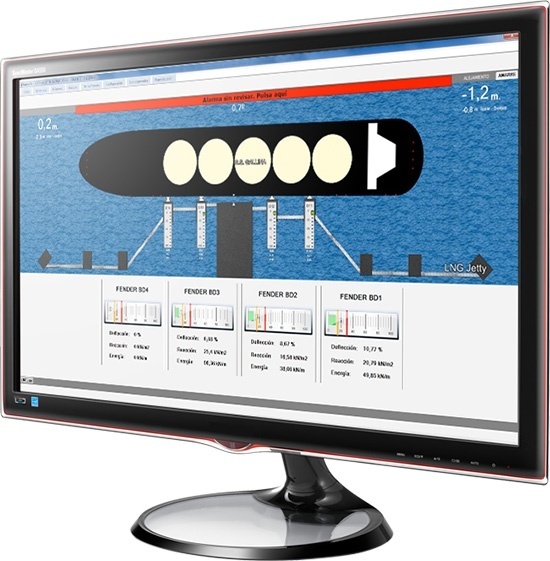 Prosertek / Harbour Equipment / What is a berthing aid system, and what does it do? Berthing is one of the maneuvers with the highest risk of accidents in a ship’s routine. 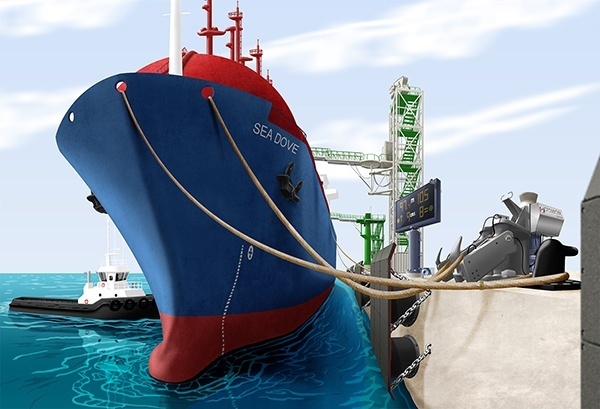 While it is true that there are mechanisms, such as fenders, to prevent damages caused from collisions while berthing, when we speak of large-volume ships or ships with sensitive cargo, fenders may not be enough. Every year, logistics companies and ports invest large amounts in the repair of ships and facilities as a result of direct blows against the dock. What is more, these accidents can cause spillage, with a huge environmental and economic cost. Over the past few years, this reality has led to great innovations in berthing aid systems. What is a berthing aid system? A BAS (Berthing Aid System) is a real-time information system that provides for safe navigation and efficient transport. As its name would indicate, it helps while berthing, reducing human error. Thanks to the real-time data it provides pilots and land crew, the operation is improved. Reduced operational costs and damages to the dock, fenders and ships. Increased safety control and protection over surroundings. Real-time monitoring, data register, reports, reproductions and records. Smart analysis of the multiple variables involved in berthing. With laser technology, this module controls speeds and distance to the dock, guaranteeing a safe berthing and preventing blows. This measures mooring line stress with load measuring pins on the quick-release hooks. This automatically releases the mooring lines, both locally in manual mode and remotely with software. This measures and records environmental variables, collecting information through weather sensors. It shows the data in real time on the screen. This measures and records fender deflection during the mooring phase. It operates with measurement lasers and a database with fender characteristics. Acts to integrate applications together and guarantee proper communication between them. This controls the system’s hardware and all field devices. It generates reports to analyse equipment performance.